Two weeks ago, a young Algerian man died after his attempt to cross the Bosnian-Croatian border. Volunteers of Border Violence Monitoring met his friends who witnessed the incident and desired his story being made available to the public. The group of 10 men from Algeria started in Izačić, Bosnia-Herzegovina. The exact date is not known, probably between March 28th and April 1st. The incident happened about 20km east from Otočac, at the north-west end of the national park Plitvička jezera. At 3 am in the night, the group saw a light and assumed that it was the police. They ran away and suddenly heard Oussama screaming when he fell into the hole. After that, 2 of the group walked around 14 km to the next village, where they explained their situation to a Croatian women around 12 am. She called the police that arrived 20 minutes later. As an excuse the police told them that they had to wait for a train to pass at an intersection. The Police also ordered a forest-guide to come. The group witnessed the forest-guide taking preparations to recover the dead body (9 hours after death). The police brought the rest of the group (9 people) to “a garage” in Croatia (distance approximately one hour by car), which was full of urine and where they had to stay for 3 nights. Afterwards they were brought to the detention camp in Trilj for 10 days. The next step was the deportation to Bosnia, Croatian police let them out of the car on the Bosnian side near the town Bihać on the 11.04.2019, they arrived around 8 pm in the center of Bihać. During the whole process, none of the refugees experienced physical violence from the police, but they still felt treated in a humiliating way. Regarding the previous decease of their friend, they didn’t feel that the officers reacted in an appropriate way. Instead of asking about the details of his dead, they were only asking the men for phones and money when arriving at the place of the incident. Their phones were either taken away or destroyed and their sleeping bags burned. In “the garage”, where police brought them after they arrived at the place of the incident, they had to sleep in a dark and cold place full of urine. Police took all the food from the refugees and only after 2 days they gave them a little bit to eat. They told them to smile in the camera during the process of taking pictures and made fun of them. They all had to sign around 10-12 papers without any translation. The police officers covered the written parts of the paper with their hands, so that it wasn’t possible to read it, they just pointed at the parts where the people had to sign the documents. Also, the documents were all in Croatian language. None of the group has any documents because the Croatian police never gave it to them. No medical treatment was provided during the 14 days. The portions of the food in Trilj were really small and they also had to pay for them. All of them had to give fingerprints of all 10 fingers. It is very unusual to keep people for such a long amount of time in the detention prison in Trilj. Most of the time it is almost empty because people are brought directly back to Bosnia. Possibly, Croatian police kept the rest of the group in Trilj to prevent that information about the incident reaches the public in time. The refugees expressed their intenten to apply for asylum at the police station and the camp in Trilj in vein. Back in Bosnia, they want to transfer the dead body of their friend to Algeria and provide a dignified funeral. By now our database contains more than 150 push-back reports from the Bosnian-Croatian border. In light of this figure it seems hard to deny this illegal practice of collective expulsions of people seeking protection, perpetrated by the Croatian police and often accompanied by violence. The people returning from the border with broken arms or legs, or showing bloodshot eyes and marks of beatings with batons on their backs, are no isolated cases. Their injuries and testimonies prove irrefutably institutionalised and systematically applied practices – even if the Croatian Minister of the Interior  continues to deny these accusations and instead prefers to accuse refugees of self-injury . Meanwhile, various large international media have taken up the topic and report on developments at the Bosnian-Croatian border. The Guardian, for example, recently published a video showing a refugee bleeding from several wounds just after a pushback . Yet, for some reason, up to now the available evidence has not been enough to hold the responsible persons and institutions accountable. New video material provided to BVM by an anonymous group should now close this gap in evidence. On 20 November we received a letter containing extensive video footage from the Bosnian-Croatian border area. For security reasons, the informants themselves prefer to remain anonymous; yet for the extensiveness and level of detail of the material in concordance with other reports, we consider it authentic. The footage was filmed by hidden cameras in a forest near Lohovo, Bosnia-Herzegovina, (Coordinates 44.7316124, 15.9133454) between 29 September and 10 October 2018 and show 54 push-backs. At least 350 refugees, including small children, minors and women, can clearly be seen on the video recordings as victims of these pushbacks, which take place several times a day and at night. Should they occur just as frequently as during the filmed period, the number of push-backs at this border crossing alone exceeds 150 per month. For the first time, the material can unambiguously prove that the Croatian police systematically conducts collective expulsions on Bosnian territory. These expulsions over the green border do not follow formal return procedures  and can thus not be justified with the 2007 readmission agreement between the EU and Bosnia. The only legal way to return people would be through the readmission process at the official border crossing after a readmission application has been made to the Bosnian authorities. In not complying with these procedures, the police officers involved violate international law, in particular the prohibition of collective expulsions laid down in Article 4 of the Fourth Additional Protocol to the European Convention on Human Rights  and Article 19 of the European Charter of Fundamental Rights . Similarly, the right to asylum, as agreed in the Geneva Convention on Refugees  and Article 18 of the EU Charter of Fundamental Rights, is not granted. In the videos themselves, the violence becomes apparent in the form of kicks and insults. Shots and screams that can be heard at close range indicate that the beatings and humilliations which are extensively documented by various NGOs , take place nearby. BVM supports these demands. Now more than ever, the evidence is calling for immediate investigations by the Croatian authorities as well as by the European Union of which Croatia is a member state and which co-funds Croatian border security. The European Commission should call on Croatia to stop and investigate collective expulsions of asylum seekers to Bosnia and Herzegovina as well as allegations of violence perpetrated by Croatian officers. The EU Commission should also open legal proceedings against Croatia for violating EU laws. 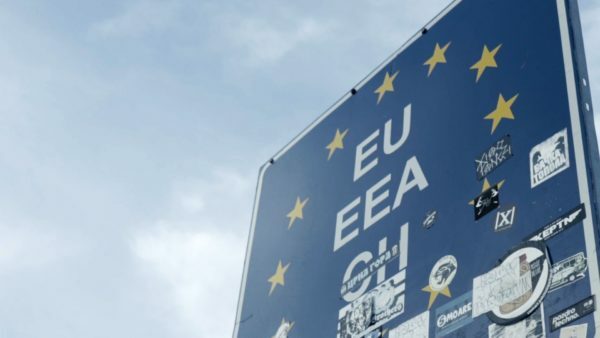 We would like to make the material that was sent to us available to the general public, in order to make them visible as evidence of the everyday events at the borders of the European Union. In case of queries we can establish encrypted communication with the anonymous group. This table lists all files Border Violence Monitoring received. The table is copied from the document „Proof of push backs”. Border Violence Monitoring added a link for every folder and file. Border_Sign.mp4 In this video, the place where the push-backs videos were recorded is filmed in one shot with the border sign nearby. It proves that the place is indeed in the immediate vicinity of the border, on Bosnian-Herzegovinian territory. Houses_to_Crossing.mp4 The video shows the path between the houses where the push-back videos were recorded, and the crossroads in the forest where the refugees are sent back to Bihać by the police. Forest_Path.mp4 This video was sent to us in mid-September by a refugee in Bihać with the request to publish it anonymously. It shows the track between the intersection where the deportations take place and the M11 road. The speaker describes the place and explains that the Croatian police use violence in pushbacks (“they punish us”). This is only a selection of the interesting videos. Especially important videos are marked with bold descriptions. 2018_10_02_12_11.mp4 12:11 October 2nd Pushback: 2 refugees, 2 police officers. They are carrying batons. This is only a selection of the interesting videos. Especially important videos are marked with descriptions in bold. 2018_10_05_05_13.mp4 05:13 October 5th Shot at 05:14, 1:30 in the video. 04:28 October 7th A group of people passing by, probably a pushback, some flashlights. The group stops in front of the camera. Discussion between police and some refugees, one obviously injured man gets help from another refugee. Car passing by. Police shouting at one refugee who was not following his command. He has a gun in his hand. Another police officer is kicking a refugee. 10:45 October 10th 2 police officers coming to the houses from the pushback place, two more from the Croatian side. They are talking. DSC_0012.JPG One of the two houses on the clearing between parking lot and intersection. DSC_0014.JPG The second house on the clearing between parking lot and intersection. The camera was installed on the roof of this house. DSC_0034.JPG Close-up of the roof on which the camera is installed. DSC_0034 lense.JPG Close-up of the roof on which the camera is installed. The camera lens is marked in red. DSC_0043.JPG These photos show the way from the houses to the crossing in the forest. This way is also shown on the video Houses_to_Crossing.mp4. DSC_0052.JPG These photos show the intersection where refugees are sent back to Bihać by the police. IMG_20181004_162047.jpg The police transporters stop here. Refugees and policemen then walk along a path towards the camera and the intersection. Ammunition1.jpg Photograph of a cartridge found at the intersection at Push-back Place Lohovo. This ammunition comes from an HS-9 Tactical, demonstrably the service weapon of the Croatian police. We take this as proof of the authenticity of the reports and audio recordings of shots fired during the pushbacks. These recordings are from the additional microphone of the station used in TAKE 2. For the recordings TAKE 3 and TAKE 4 there is only the audio integrated in the video footage, no additional audio track. REC001.WAV This recording starts 29th September 2018 at 16:32, running parallel to the videos of TAKE 2. REC002.WAV Continues the previous recording, starting September 30th 2018 at 17:23. REC003.WAV Continues the previous recording, starting October 1st 2018 at 18:14. Ends October 2nd 2018 at 00:30. 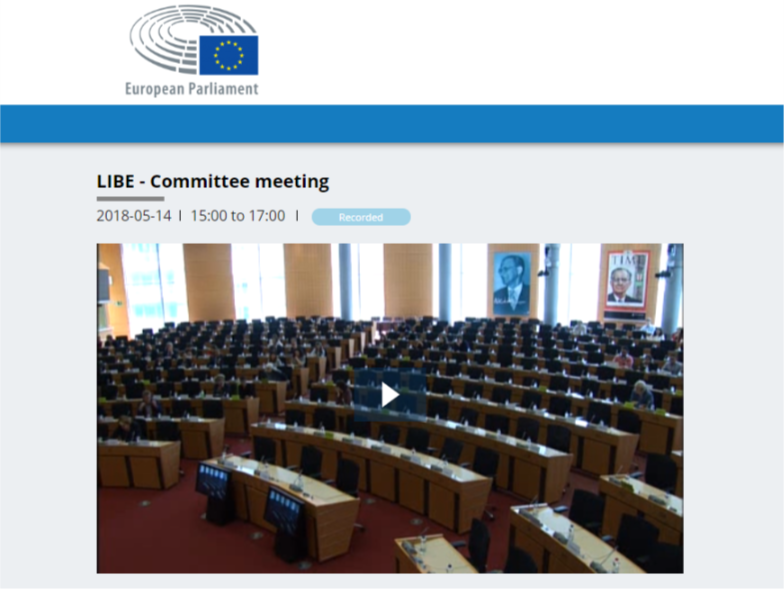 We’re looking back at our approaches to bring Border Violence Monitoring to the European Parliament: In June 2018, a request was submitted by Dietmar Köster (MoP, S&D) in a meeting of the Committee of Civil Liberties, Justice and Home Affairs of the European Parliament. Köster questioned the role of Frontex in the context of human rights violations at the borders of Hungary, Croatia and Serbia. (See https://www.borderviolence.eu/border-violence-monitoring-goes-european-parliament/) We worked together with him preparing the request that was based on our database as well as material collected by other NGOs. At the same time and likewise referring to our sources, Mr Köster submitted a written request to the EU Commission, asking for a „Statement on border police practices that violate human rights in the EU Member States of Croatia, Hungary and Slovenia“ (http://www.europarl.europa.eu/doceo/document/E-8-2018-003085_EN.html). The questions were, amongst other things, directed at the EU Commission’s position towards the Hungarian Ministry of Interior playing down the violence used by Hungarian, Croatian and Slovenian border forces. Further, he was asking about actual measures that will be taken by the EU Commission considering mass deportations taking place in Croatia, Hungary and Slovenia. As these lapses of Hungary’s migration policy are well-known since 2015 and EU investigations have been ongoing since then, the answer is quite unsatisfactory to us. The time this delayed infringement takes, the status quo is kept up at the Hungarian borders which means ongoing human rights violations. But at least, the situation is not being denied any more by the Commission. The measures to protect the EU external borders need to be implemented in full respect of the fundamental rights. As regards the alleged use of force at the Hungarian border, the Commission continues to monitor closely the situation on the ground and will take all appropriate steps in case/if any evidence of infringement of EC law is supplied to it. We would be happy if the Commission, instead of continuing to monitor the situation as “closely” as they did for the last years, they would start serious investigations about everyday breaches of the European Convention on Human Rights that we – as a small NGO with capacities not comparable to the EU Commission’s at all – continue to witness. The Commission is also in contact with Croatian authorities concerning the implementation of the Common European Asylum System, including concerning allegations of third-country nationals being denied the possibility to apply for international protection in Croatia. Such allegations should be subject to credible investigations by the Croatian authorities according to national law. Even though the national government of Croatia should react to the allegations, it should also be in the interest of the EU Commission to guarantee their own standards. Instead of that, responsibility for the failure of the European Asylum System is again shifted to one of the Balcan states. For months we have been working on the compilation and publication of reports on border violence, cooperating with international NGOs, calling for statements from political actors* and using our network to exert pressure on those responsible. Yet the meeting between German Chancellor Angela Merkel and Croatian Prime Minister Andrej Plenković in Berlin on 28 August 2018 was accompanied by a sobering message: According to the press release (in German), Germany was satisfied with Croatia’s role in securing the EU’s external borders. Considering Croatia’s appallingly violent border security policy, the fact that only internal investigations are permitted to clarify the cases and the denial of all allegations of violence by the Croatian Ministry of Interior, we find this statement very alarming. Open criticism and a clear position against human rights violations must be part of a culture of political dialogue. We decided to comment on the press release and wrote a letter to the Chancellor as well as to members of the Federal Government, pointing once again to the brutality of Croatian border officials. Truth is, this is a topic which has already been taken up in detail in the German and international press and which has meanwhile triggered political debates at EU level. Yet unfortunately the documented allegations of violence and complaints were not mentioned in the press release. It was with dismay that we read the transcript of the press conference by German Chancellor Angela Merkel and Croatian Prime Minister Andrej Plenković on 28.08.2018 (→ Link). “Croatia is doing an outstanding job with its security forces [EU External Border Guard]. I would like to praise that explicitly”. When Croatia joined the European Union in 2013, it committed itself to complying with and enforcing international law. The Geneva Convention on Refugees, the Charter of Fundamental Rights of the European Union, the UN Charter of Human Rights and the European Convention on Human Rights are important elements of this commitment. Since many months, these laws are being violated on the borders of Croatia/Serbia and Croatia/Bosnia and Herzegovina. In cooperation with international NGOs, the association Rigardu documents cases of illegal push-backs and excessive violence by Croatian police officers* (www.borderviolence.eu). Croatian police systematically abuse and humiliate refugees in an attempt to deter them from entering the country. The Croatian border police deports refugees back to Bosnia and Herzegovina and Serbia without granting them access to a fair asylum procedure, even after an explicit request for asylum has been made. In addition, Croatian border officials hit people with batons, fire shots in close proximity and demand that refugees strip themselves completely. They are locked into closed cells and cars with lack of oxygen. In addition, Croatian officials steal or destroy personal items such as mobile phones and ID and registration documents. Every day, people on the run, including families and unaccompanied minors, tell us about these practices of the Croatian border police. We refer in particular to the principle of non-refoulement in Art. 32, 33 Geneva Convention, the right to freedom and security (Art. 6 CFR)/Art. 3 UDHR), the right to property (Art. 17 CFR), the right to asylum (Art. 18 ECHR) and the right to asylum (Art. 18 ECHR). CFR/Art. 1 ECHR/Art. 17 UDHR), right to asylum (Art. 18 CFR/Art. 14 UDHR), protection in case of deportation, expulsion or extradition (Art. 19 CFR), right to a fair trial (Art. 6 ECHR/Art. 10 UDHR) and prohibition of torture (Art. 3 ECHR/Art. 5 UDHR/Art. 4 CFR), which are ignored by the EU Member State Croatia. This behaviour is inhumane, illegal and in no way tolerated. You must be aware that the methods of the security forces are not to be praised by the Federal Chancellor, but criticised and condemned to a high degree; the actions of Croatian border officials should be closely examined. Human rights violations on this scale must not go undetected in an EU Member State and should not be tolerated under any circumstances”. In August, our team in Bosnia and Herzegovina (mainly NoNameKitchen and Balkan Info Van) reported 260 cases of illegal push-backs from EU territory (Croatia and Slovenia) to Bosnia. However, there are most likely many others cases that remain unreported by our organizations. 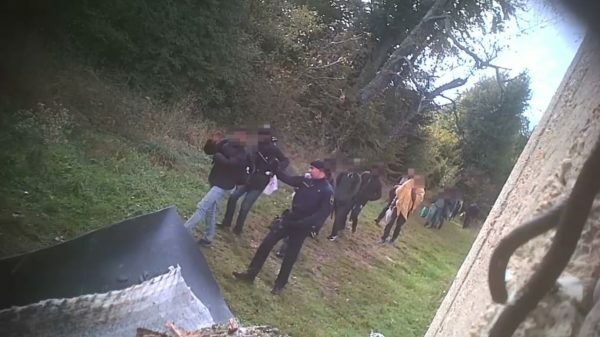 In most cases, the victims of illegal push-backs were subjected to violence and humiliation at the hands of Croatian and Slovenian border authorities. The officers used sticks and stun batons on their victims, intimidated and threatened them, shot their guns in close proximity, strip-searched and sometimes sexually harassed, detained them in closed cells and cars with lack of oxygen, stole or destroyed possessions such as phones and legal documents and, in all cases, deported them back to Bosnia without giving access to asylum procedures. We have observed several patterns in the violence used against the people attempting to cross the EU borders. Firstly, the victims of the physical attacks by the border authorities were mainly people who clearly expressed their wish to claim asylum in Croatia or Slovenia. Simply by asking, people seem to be provoking or somehow aggravating the police officers. Groups described how they were told to “shut up”, and where individuals tried to articulate their asylum requests verbally, they were targeted disproportionately. Simply by speaking up, asylum seekers are now increasingly targeted by violent border guards. It seems that groups are forced to comply by remaining silent; meanwhile the relevant authorities refuse to comply with international law on asylum. Furthermore, we have noticed a close cooperation between the Slovenian and Croatian police forces. The Slovenian police often hand people over to Croatian border forces dressed in black and called “commando”; a unit in charge of the violent push-backs to Bosnia. These violent deportations take place mainly in unmarked locations, particularly forests and mountain areas, close to Velika Kladuša, Šturlić, and Bihać (BiH). Several victims also reported to us that they had seen Croatian and Slovenian officers paying the local population bribes in exchange for giving information about the place of residence of people on the move. While we keep receiving large numbers of testimonies proving the continuing existence of border violence, the Croatian interior ministry still denies all allegations of police brutality. The ministry has stated to media that the Croatian police is acting in accordance with national laws, as well as international standards . Push-backs and police violence are still daily fare: We keep receiving reports pointing to collective expulsions and police violence in Croatia and Hungary. 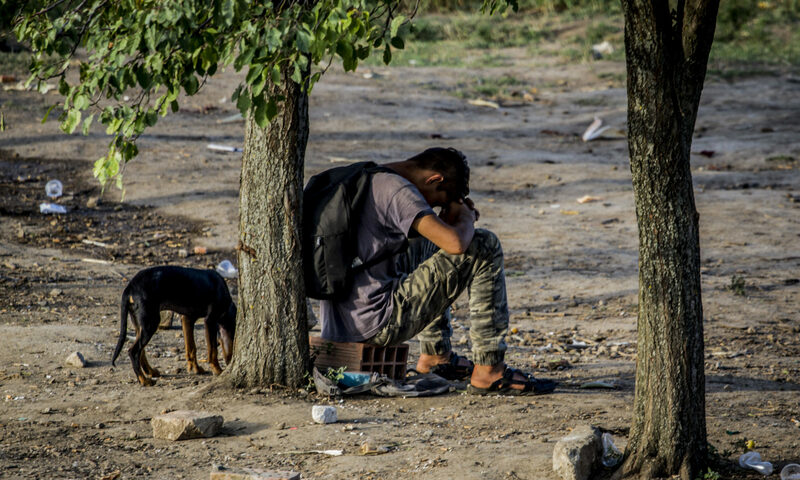 On the Croatian border, violence exacerbated recently, when Croatian police shot and injured two 12-year-olds, as AYS reports. Meanwhile in Subotica, Serbian police officers burned down a building sheltering a group of refugees. No one was injured, but many lost all of their belongings. In the meantime, we keep working to make this reality of systematic human rights abuse part of political discourse on the European level. A recording of the meeting can be accessed under the following link. The request is read from 15:28:45, some answers are given from 15:47:30. “The Consultative Forum’s Annual Report mentions that Frontex has significantly reduced the number of deployed officers and assets in Hungary. Is there information available to the public regarding the number of Frontex officers remaining in Hungary? Have similar measures been taken in Croatia, where regular fundamental rights violations have also been documented by different actors over the last few years? 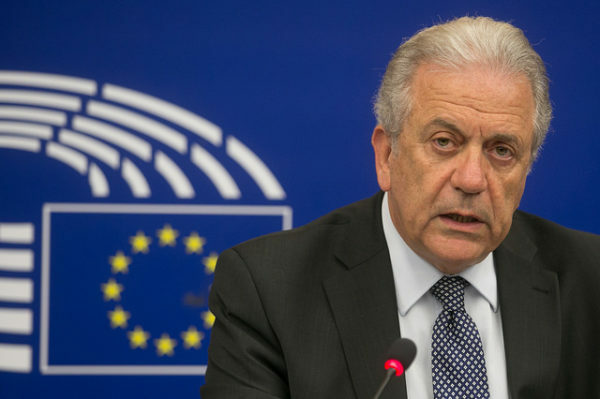 Frontex Executive Director has suggested that Frontex presence could contribute to minimise use of violence on the border, as well as to document circumstances on the ground. Has Frontex documented any cases of fundamental rights violations in Hungary or Croatia? If this is the case, are there any reports available to the public? Even though the answers are rarely satisfying, we keep on going. From enquiries to the European Commission or formal complaints with Frontex to legal procedures, a variety of instruments is available. The point is to raise political pressure and to confront policymakers again and again with the reality on the ground. Action – Response – Effect? Action – Response – Effect… This is our hope for our commitment to the “Border Violence” project. The response we hoped for: Highest possible press coverage and the attention of the (responsible) of political actors. The effect we hoped for: An end to the approved practice of protecting the EU’s external border against immigration with the means of human rights violations. The publication of the database is now ten weeks back, so an opportunity for us to take a look back and see if reaction and effect have occurred as hoped. With a widely published press release by the dpa (German Press Agency) we have reached numerous media in Europe and even beyond. 33 reports are known to us, including coverages in many European languages, but also in Taiwanese. Some large media houses conducted their own research which have additionally attracted many readers. As part of their research, Al Jazeera English and BalkanInsight have submitted inquiries to the relevant interior ministries of Croatia, Hungary and Slovenia. The subsequent denials cannot be surpassed in brazen ignorance. The Hungarian Ministry of the Interior, for example, writes that it wishes “to draw attention to the fact that the Hungarian police is protecting the borders of the EU and Hungary” ¹. Human rights violations are to be legitimized by referring to the protection of EU borders. A spokesman of the Croatian police wrote in an e-mail to Al Jazeera that the authorities have “not found unprofessional or unlawful conduct of police officers toward migrants” in the cases they investigate ². According to the Slovenian Ministry of Interior, the Slovenian police has committed themselve to “maintaining high standards of professionalism and legality of their work …”. It goes on to state that “… in particular with regard to the respect for human rights, your allegations were a great surprise and we are not aware of such cases of push-backs and violence by the Slovenian police”. We still receive inquiries from editors investigating these matters. For example, as part of the coverage of a report published in January on Spiegel Online or an interview of the web radio station detector.fm about our Border Violence Project. We were also in contact with the political magazine MONITOR of ARD during their research. We had to learn a lot about structures and competencies within the European Union. Above all, however, which EU institutions are or are not responsible for our concerns. The responses from German politicians of the Bundestag fractions all fall into the category “not worth mentioning”, if any were issued at all. There is an EU Agency for Fundamental Rights, whose task specifically is to ensure that the “fundamental rights of the people in the EU are protected“, as can be read on their homepage. It was set up “by the European Union to provide independent EU-based evidence-based fundamental rights consultation” to the EU institutions and Member States ³. The first answer to our request: The link to the database does not work. After repeated inquiry about the further proceedings of the agency on this matter the answer came: “Thank you. We plan to address this in the next annual report of the Fundamental Rights Agency. MfG, Adriano Silvestri “. Another attempt to contact the Fundamental Rights Agency provided us with the clues as to which other (!) EU institutions could be responsible for our concerns. Information that we had already discovered through our own research. The answer from the Subcommittee on Human Rights of the European Parliament (DROI) is similar. Ms Kammerevert writes: “In the cases you describe, parliamentary competence does not lie with the Subcommittee on Human Rights (…), which deals exclusively with human rights violations in third countries, but with the Committee on Civil Liberties, which fully respects the Charter of Fundamental Rights within the EU (and) ensures compliance with the European Convention on Human Rights (…). “ Since this response did not reach us until mid-February, the reaction of the said Committee on Civil Liberties is still pending. But it is the EU Commission, which has by far the most possibilities to achieve an impact, for example by the initiation of an infringement procedure. Al Jazeera’s report also brought the attention of the United Nations Office on Genocide Prevention and The Responsibility to Protect to our database, who asked for our data to be used in their monitoring work. In two cases we were contacted by researchers and scientists (Harvard University and the International Relations / Political Science Department, Graduate Institute of International and Development Studies from Switzerland). In one case, we were able to arrange a meeting with our local team to help with their research. This shows us that we are taken seriously as experts in our area of work – an additional motivation to continue working on this project. A sluggish EU system supports and protects the practice of human rights violations for the protection of the EU’s external borders, thereby fulfilling the European desire to shield itself from migration flows. This is also the – less encouraging – feedback from large human rights organizations, such as Human Rights Watch, who have already had to make the experience of how little European interest is in addressing these abuses. Despite the medial publicity, and although the competent institutions, such as the ministries of the Interior of the countries concerned and respective EU bodies, are now fully aware of the human rights violations, we know of no effort that has undertaken to change the current situation. In sum, the feedback is a sobering: denial, no response, “no jurisdiction” or “factual inadequate”. Even if our documentation can not be used as court-proof evidence: Are these concrete references to acute law-breaking by EU Member States enough so that EU institutions perform their duties and investigate these allegations? Is it the job of small NGOs to research these cases? Or should it not be the task of for example the Commission or the Fundamental Rights Agency (FRA) to review Member States’ compliance with human rights? (Quotation from the mission statement of the FRA: The FRA achieves its objectives “by collecting and analyzing objective, reliable and comparable data on a variety of fundamental rights issues in the European Union.”.). A well-funded suspicion should be the minimum that our and other reports provide. What remains is a lot of disillusionment and at the same time the realization of how important this tedious work is. In the coming weeks we will engage ourselves with the complaints procedure of the European Commission. After a legal consultation, we want to bring the first case to an appeal and hope for further reactions on the side of the commission. At the end of 2017, we also documented two cases in which allegedly German police officers (whose presence on the Hungarian-Serbian border can be explained by a foreign mandate to protect the EU’s external borders) were involved in acts of violence against fleeing people. We will file these cases with Frontex through another appeal procedure. We will not let go, continue to work for the protection of human rights, and demand for political reactions.